There's a difference between making a basic soap recipe, like this Grocery Store Soap Recipe, and making a simple hard white bar of soap. 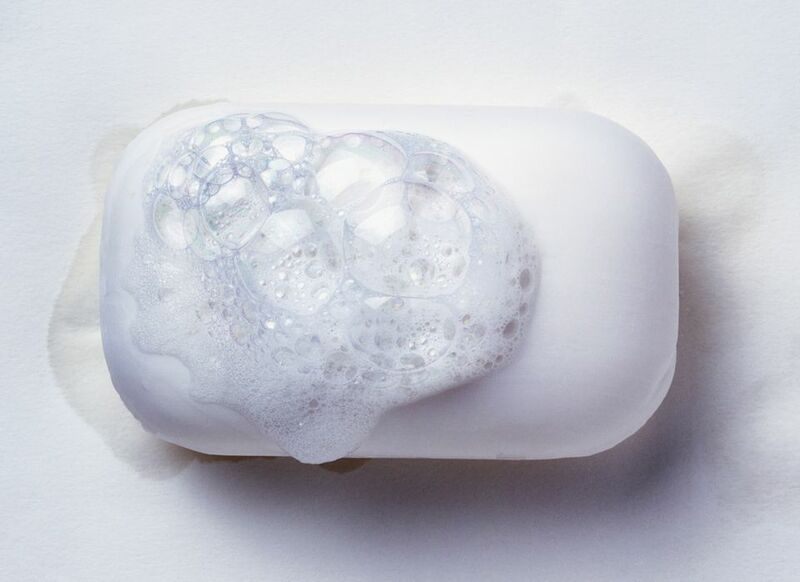 There's something magical to a pristine bar of sudsy white soap. This soap will come out a nice light beige color, a little less beige than Goat's Milk Soap, though not pristinely white. Add some Titanium Dioxide (TD). If you're using Water-based Titanium Dioxide, you add it to your lye-water mixture. If you're using Oil-based Titanium Dioxide, then you can add it to your melted oils at any time up to trace. With either version of TD, I usually add about 1 tsp. per pound of oils. (ie. If your recipe has 32 oz. of oils in it, use 2 tsp. of TD). Once you get the feel for how TD works in your soap, you can use it to lighten the entire batch, or just part of a batch - incorporating it into swirls with other colors. A little-refined shea butter will give you some extra moisturizing without imparting much color at all. If you've got some really light-colored refined Olive Oil, you can try that too. It's often worth the slight beige tint to get the extra moisturizing qualities of Olive.